Today was a good day for treasure hunting here in Alabama. We went to two estate sales and Dan found a fried chicken place he had to try. I fell in love with this quilt top and I had to bring it home with me. It is hand stitched from vintage feed sacks. I'm hoping I can talk a friend into helping me pretty it up. We found this bunch of goodies in a beautiful home in downtown Opelika. I fell in love with the home and I loved lookie lou'ing through it's pretty rooms. I think that is my favorite thing about going to estate sales. 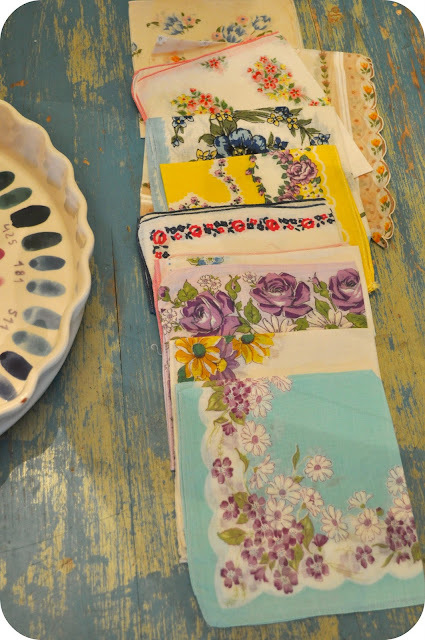 I found a stash of hankies for my growing collection. I figured someone would be in love with this mushroom necklace so I picked it up to sell in my shop. These matted prints are going in the shop too. That marching band one is tempting me. I hope you found a little bit of treasure over the weekend too. p.s. 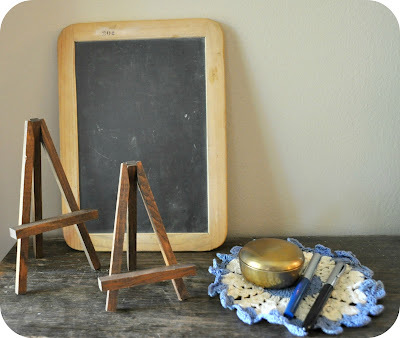 Check out Her Library Adventures and Apron Thrift Girl for more treasure hunting goodness. that mushroom necklace is adorable! 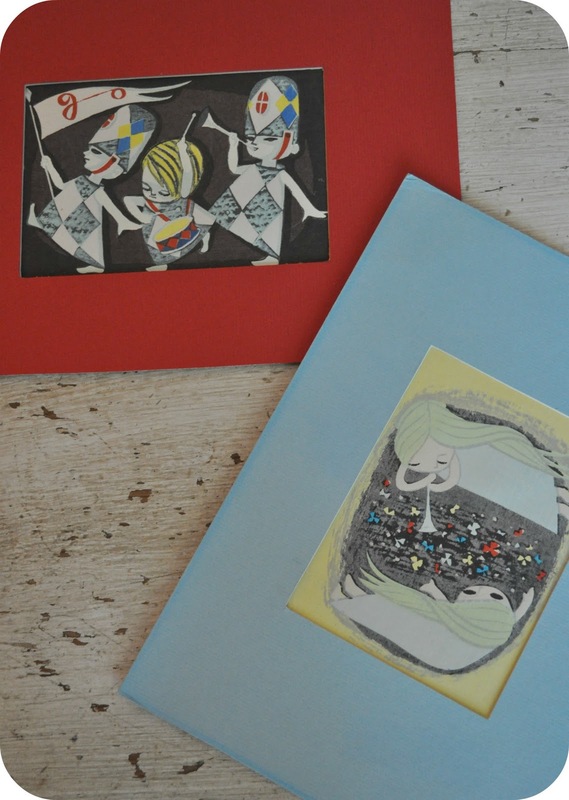 love the prints too! 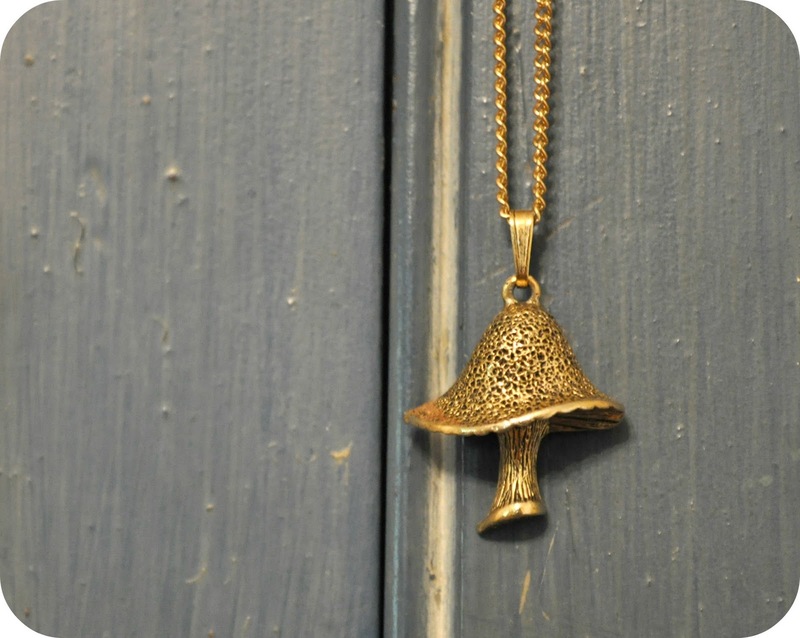 I'm a huge mushroom fan and that necklace is gorgeous! Those hankies are the sweetest. the patterns on those hankies are so pretty. lovely finds. 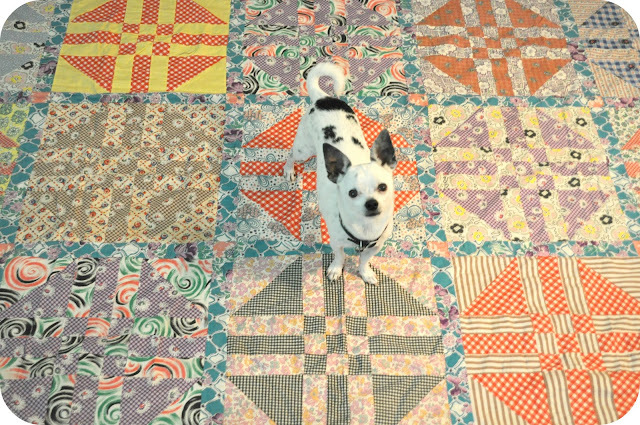 The quilt top is so pretty, and I love the photo with your sweet dog standing on it. I love estate sales for that same reason! I love seing where other people lived. Great finds! I love the print of the two girls best. I would definitely keep the marching band one! Wouldn't it look so cute in Baby Coco's room? Love the quilt top, made all the cuter by the little sweetie modeling his cuteness. Those hankies are so sweet, too. Nice finds!